Ontario credit unions are regulated through a comprehensive regulatory framework which involves the Ministry of Finance , the Financial Services Commission of Ontario (FSCO) and the Deposit Insurance Corporation of Ontario (DICO). The Ministry of Finance is responsible for developing and establishing the legislative and regulatory framework under which credit unions must operate. FSCO is responsible for ensuring that credit unions operate in accordance with the requirements of the Act and Regulations, particularly with respect to issues involving market conduct issues relating to members and the general public. 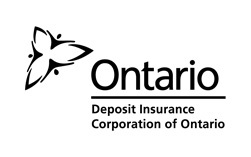 DICO is responsible for overseeing compliance with solvency rules and for providing deposit insurance protection for deposits held in Ontario credit unions up to prescribed limits. As part of this responsibility, DICO has the authority to issue by-laws to ensure that credit unions operate in accordance with Sound Business and Financial Practices. Following industry consultation, including comments received at the second webinar, we are pleased to confirm final guidance (see table below) which incorporates minor changes to help improve clarity. This Sector Notice clarifies DICO's expectations and assessment methodology regarding director training and qualifications requirements. It also provides a summary of implementation strategies being implemented by some institutions. DICO continually reviews emerging issues and risk management practices in other jurisdictions to ensure that Ontario standards reflect the most current industry best business practices. DICO has worked closely with a number of larger institutions to develop an ERM framework, Application Guide and Guidance Note and industry best practices that would also be suitable for all More Complex credit unions for implementation over time. All More Complex credit unions are required to meet the ERM requirements. Final versions of the Enterprise Risk Management (ERM) Framework, the Application Guide and the Guidance Note are available below. 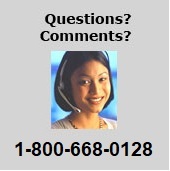 On Thursday, September 29, 2011 DICO hosted a webinar on this subject to review the concepts outlined in the documents, provide more clarification and address any questions from the sector. This webinar provides information on leveraging ERM to create business value while meeting regulatory requirements. Less complex credit unions may also wish to review these documents to see if they may be helpful. This guidance note outlines the minimum requirements for an enterprise risk management program. It also identifies the typical features of this program and provides further information on the key responsibilities for the Board, Audit Committee and management and DICO's expectations and assessment criteria. DICO has been working with an industry working group to develop additional information and tools for help in setting up an ERM program. The ERM Framework document outlines basic objectives, concepts and structure of an effective ERM program while the ERM Application Guide provides an example of an ERM methodology for consideration. The ERM methodology and process adopted by a credit union will differ between credit unions based on their size and complexity. We would like to take this opportunity to thank the industry working group for their valuable insight and hard work in developing these documents and to the sector members who sent us their comments helping us to further refine and improve these documents. Credit Risk Ratings A computer assisted methodology for assigning a risk rating to each commercial loan. Watch List Process A detailed description of recommended best practices to identify and manage this important Risk Management function. Standard Industry Codes Standard Industry codes to be used for statistical reporting purposes and to identify / monitor portfolio risk concentrations. These materials provide suitable guidance to credit unions engaged in commercial lending for compliance with DICO's By-law No.5. We wish to thank the Members of the Industry Task Force: Bruce Rodrigues, Brian Lawson, Rob Adamson, Dan O'Connor, Al Brooks, Brian MacDonald, Peter Collins, Frank Hakimi, Frank Kennes, Ed Boere, Barry Roth, John Klassen and Roger Honsberger for allowing us to publish these tools on our website and encourage all credit unions that are active in commercial lending to consider adopting the methodologies outlined. DICO proposes to employ the Credit Risk Ratings and Standard Industry Codes in its commercial lending risk assessment programs and is currently updating the Reference Manual to incorporate these guidelines. DICO has developed Guidance Notes on Stress Testing and on an Internal Capital Adequacy Assessment Process (ICAAP) which incorporates mandatory stress testing criteria. While there is an overlap between these processes, there are important distinctions. These Guidance Notes outline DICO's expectations with respect to a credit union's ICAAP and stress testing program. It also reviews the criteria DICO will consider when evaluating and assessing inherent risks, the quality of risk management practices and the adequacy of capital and liquidity. To assist credit unions with the preparation of the required documents, DICO has developed an Application Guide which provides additional information regarding the ICAAP submission requirements, mandatory stress tests and summary key metrics report. It is a mandatory requirement for credit unions with assets over $500 million with fiscal years ending on or after December 31, 2017, to submit their ICAAP Report 270 days after their financial year end. DICO has developed a set of three Corporate Governance Guidance Notes for the Board of Directors, the Audit Committee, and Management for immediate use. The Guidance Notes are aligned with the governance standards of By-Law No.5 Standards of Sound Business and Financial Practices and outline DICO's expectations. In addition, three self-assessment workbooks have been created to provide minimum considerations for credit unions to evaluate their level of compliance. These documents incorporate the comments and suggestions received from stakeholders during the consultation period. DICO is releasing updated Liquidity and Stress testing Guidance Notes for implementation by credit unions. The Guidance Notes reflect the introduction of new metrics and best practices that are consistent with the guidance issued by Basel and OSFI as well as other credit union provincial regulators. It is a mandatory requirement for credit unions with assets greater than $500 million to complete their first set of quarterly liquidity metrics: LCR, NSFR and NCCF, based on December 31, 2017 results and submit the metrics 21 days after the quarter end. DICO is releasing the Securitization Guidance Note and Application Guide for implementation by credit unions. The guidance reflects the introduction of metrics and best practices for the prudent management of securitization programs. The Securitization Guidance Note and application guide are for use by all credit unions and applicable beginning September 1, 2018. DICO envisions that the expectations outlined in this guidance note will be incorporated in to the credit unions' 2019 budget planning processes. Reporting requirements to be submitted to DICO are effective for credit unions with a year end of December 31, 2018 or later. DICO is releasing an IT Governance Guidance Note and IT Governance Framework for stakeholder consultation and comment. Please note that stakeholders are invited to forward any written comments for consideration by e-mail (to consultation@dico.com) by April 15th, 2019.